As The Washington Post's Timothy Bella reported Tuesday, Trump was asked by New Jersey station WWOR to weigh in on the import of the attacks on the World Trade Center only a few hours after planes struck the twin towers. Trump Building is the 32nd-tallest building that either stands in New York City or is slated to be built. President Donald Trump's habit of exaggerating or misrepresenting the effects of New York City's worst terrorist attack on him personally began the afternoon of Sept. 11, 2001. As The Washington Post's Timothy Bella reported Tuesday, Trump was asked by New Jersey station WWOR to weigh in on the import of the attacks on the World Trade Center only a few hours after planes struck the twin towers. One of the station's reporters asked Trump whether a building he owned - 40 Wall Street, a few blocks from the site of the attacks - had suffered any damage. 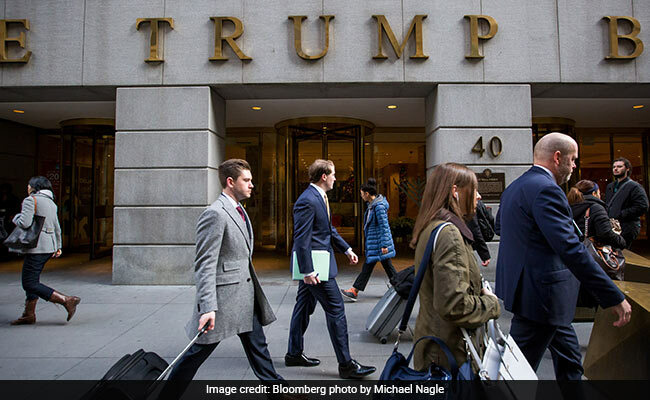 "40 Wall Street actually was the second-tallest building in downtown Manhattan," Trump replied, "and it was actually, before the World Trade Center, was the tallest - and then, when they built the World Trade Center, it became known as the second tallest. And now it's the tallest." The Council on Tall Buildings and Urban Habitat tracks skyscrapers around the world. As of this moment, Trump's building at 40 Wall Street, called the Trump Building, is the 32nd-tallest building that either stands in New York City or is slated to be built there. Many of the 66 tallest buildings or planned buildings aren't in Lower Manhattan, generally defined as below 14th Street. Trump said downtown Manhattan, which is generally considered to be the same area. The tallest building in that lower part of the island is the tallest building in the city - and the Western Hemisphere: One World Trade Center, the building that replaced the twin towers. That building, of course, wasn't in Lower Manhattan on the day of the attacks. It's a remarkable testament to the recent economic boom in New York City that so few of the 66 tallest buildings were in existence in late 2001. Only 15 of them were, including Trump's building on Wall Street. Many of the new additions aren't in Lower Manhattan but, instead, in Midtown or on the southern end of Central Park. Back to the point at hand, though. Which buildings are both in Lower Manhattan and existed on the day of the attacks? Only four: The Trump Building, 70 Pine, 28 Liberty and the Woolworth Building, at one time the tallest building in the world. Of those four buildings, Trump's ranked second in height, by 25 feet, to a building one block to the east (70 Pine). There was a period during which Trump's was the tallest building in Lower Manhattan, but it wasn't immediately before the construction of the World Trade Center in the 1970s. It was for about two years in the 1930s, well before Trump owned it - or was born. Obviously, that Trump chose to focus on his building's newly elevated status on the day of the attacks themselves was odd. (One WWOR reporter who was there at the time used the word "stunned" to describe how he felt in the moment.) But it's hardly unusual that Trump should make such a claim, and it's not unusual that the claim should be inaccurate. To that end, 40 Wall Street joins several other Trump exaggerations or falsehoods about the 9/11 attacks, including that he "helped a little bit" with cleaning up Ground Zero or that he saw Muslims in New Jersey celebrating the towers' destruction. The attacks of Sept. 11 play an outsize role in the American imagination. And, it seems, in Trump's.